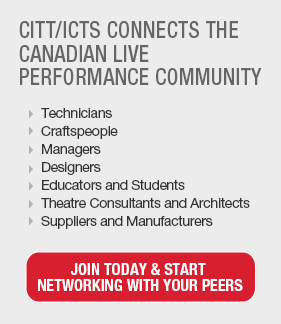 Reporting to the Administrator - Brockville Arts Centre, the Theatre Technician provides technical support to the artists, clients and the community users of the Brockville Arts Centre. This position is responsible for the maintenance and safe operation of the lighting, sound and visual technical equipment and trains all staff on the use of such equipment. •Three (3) year College diploma in Theatre Production or Live Performance Production or related field of study. •Working at Heights Certificate, Fall Arrest training, First Aid CPR-C Certificate and Rigging Certificate. •Ability to work with live sound; digital live mixing consoles and related audio equipment. •Demonstrated ability to work and assist a wide range of performance types including live music, theatre and dance, etc. •Ability to work at heights and climb ladders. •Capable of safely lifting 50 pounds to head height. •Must be able to work a flexible work schedule which includes daytime, evenings and weekends. Applicants must submit a cover letter and resume by the application deadline in order to be considered for this opportunity. Located on the St. Lawrence River in the world famous 1000 Islands region; the Brockville Arts Centre is recognized as one of the finest medium size historic theatres in Canada. Year after year we welcome thousands of theatregoers to an experience that makes them feel close and connected to the performers on stage. Please visit www.brockville.com for more information.